Social investors. 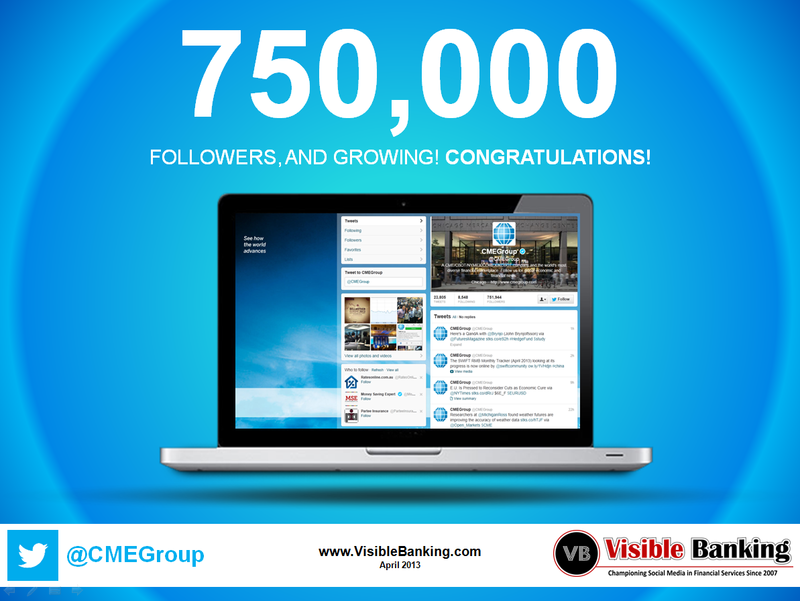 Earlier this month, the CME Group reached an incredible milestone with 750,000 twitter followers and became the most followed financial services firm on earth. Congratulations to my friend Allan Schoenberg and his CME Group team at @CMEGroup for recently reaching an outstanding milestone on twitter in financial services: three quarter of a million of twitter followers! And the level of activity on this account is good with 16 daily tweets on average in March 2013.